Malvern Star Oppy S2, 2016. 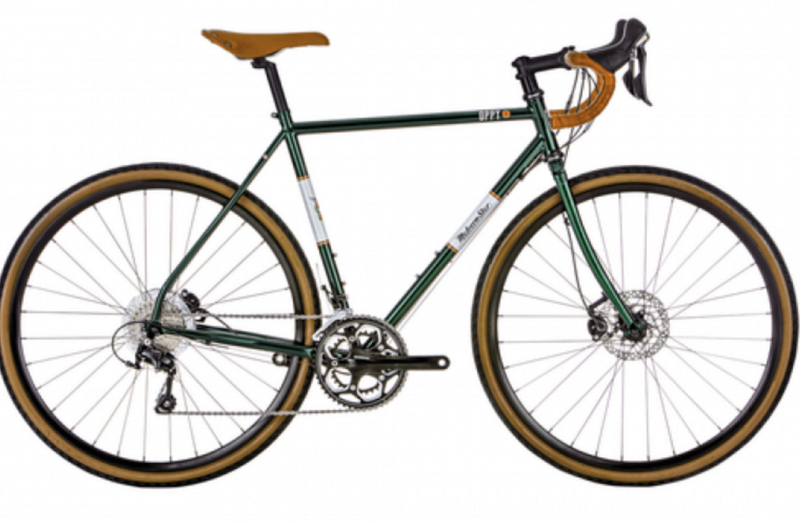 A lightweight retro butted Cr-Mo frame and lugged fork with disc brakes. Featuring 22 speed shimano 105 gearing and Shimano RS500 cranks, Shimano Hydraulic disc brakes, central lock hubs with Alex tubeless ready rims, a real leather saddle and grip tape.